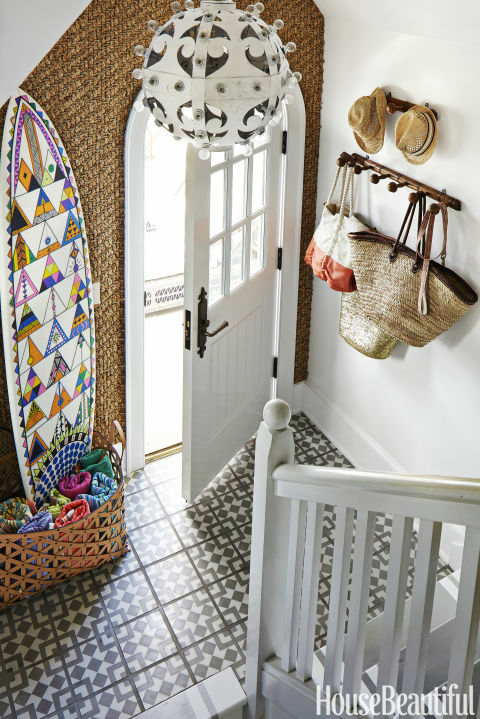 Cement tiles are at home in every room. 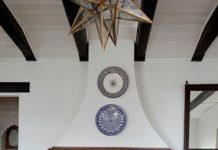 Cement tiles are at home in every room in your house. 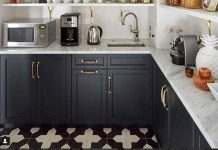 Here they are in the kitchen and in the entry of the home of the co-founder of Anthropologie. This house, seen in House Beautiful, spotlights the versatility of these beautiful, long lasting and easy care tiles. No matter which room you choose, Granada Tile’s cement tiles fit beautifully. They’re easy care, long lasting and low maintenance. We have over 40 colors and 400 designs to choose from. 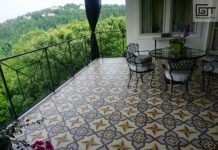 Accordingly, start by visiting our cement tile shop. In fact, many of our most popular concrete tile designs, like the Fez encaustic tile pictured above, are in stock and ready to ship out to you! Then, call us at 213-788-4238 to discuss which of our encaustic tile designs would work for your home or restaurant project. Ultimately, we’re sure you’ll fall in love before the grout even dries!